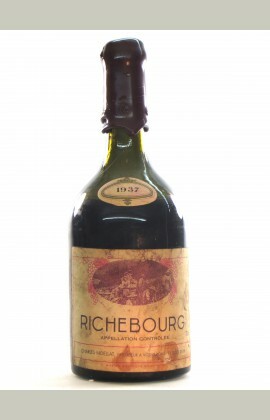 Extremely rare Richebourg from Noellat.....very sought after ! For ex. the 1929 Richebourg Noellat is sold 3000 EUR at Lucullus !! Old style typed Burgundy bottle ( long, thin neck ), the ullage doesn't seem to be that important here....recently rewaxed. 99 points WT.